Every year in fashion, prints come and go. There are certain prints that will forever be classics such as plaid, houndstooth, and The Leopard Print. Yes, the leopard print can be found on any garment these days from clothing, shoes, and accessories. When it comes to suiting, there is no exception. 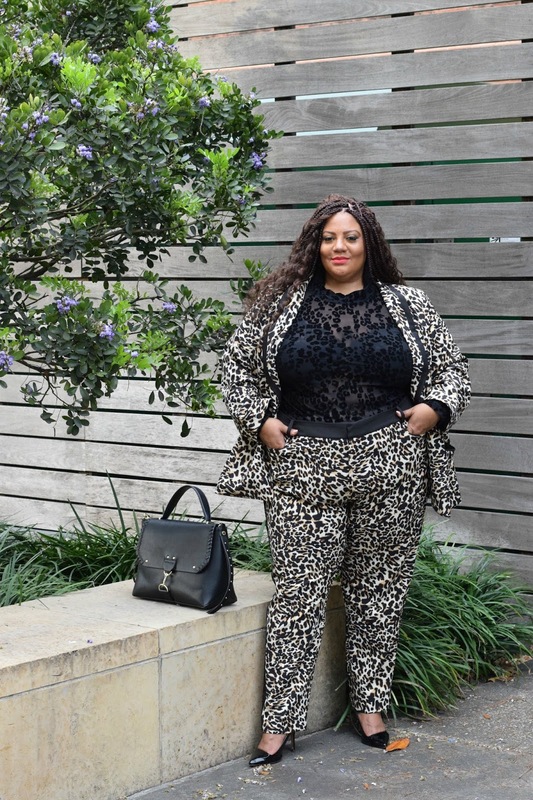 The Leopard Suit is a must-have and here is why. A new neutral - when we think of a neutral color, we normally think of hues of browns. Naturally, the leopard print is the print of neutrals to compliment any look. Confidence - the leopard print exudes power. When you wear this print, you feel empowered as if you are the queen of the jungle. Timeless - No matter the decade, leopard will always be timeless essential to one’s wardrobe. 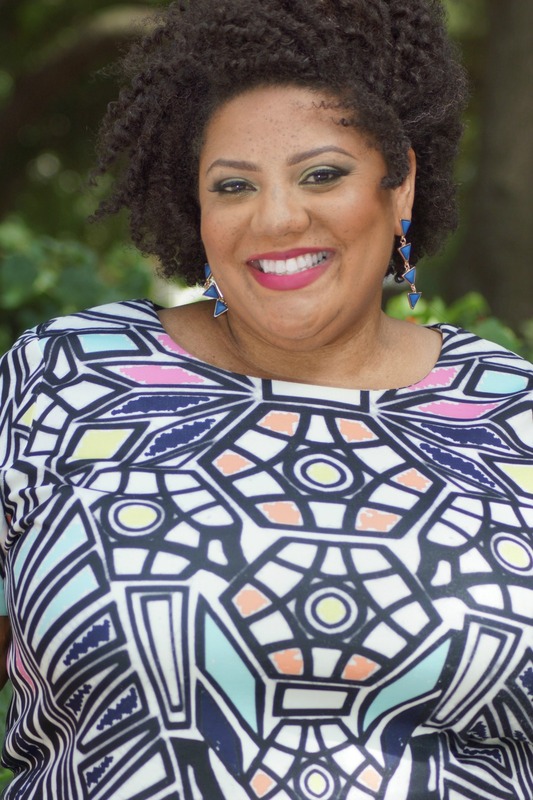 This past season was no surprise when brands ELOQUII and Lane Bryant leaped on the trend. 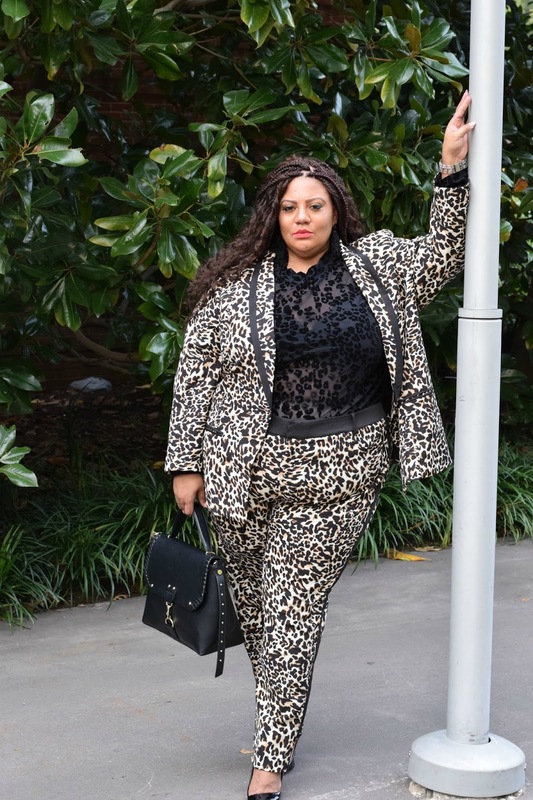 When I saw the Leopard Suit Blazer and Leopard Katy Fit Pant, I knew this was a must have set. 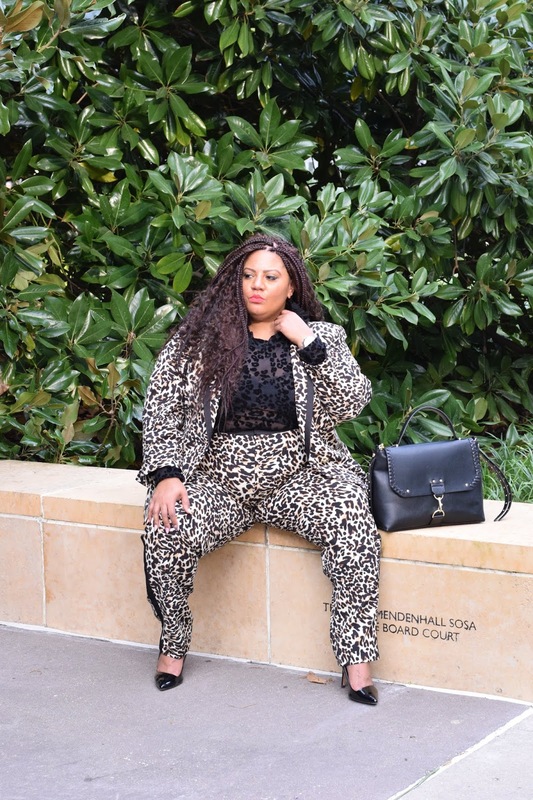 The Leopard Suit Blazer is trimmed in black to give the blazer a polished look. Wearing the blazer individually with a solid bottom would also be ideal if you are not into prints on prints. Now, let’s get into the fit. When it comes to blazers, normally I have to size up due to my arms and chest. This blazer was no exception here, if you have fuller arms or an ample bosom, size up. On the the Leopard Katy Fit Pant...with the black banded waist and tuxedo stripe, this pant is ideal for so many occasions. You can pair the pant with a graphic tee and denim jacket for a chic look or a blouse for a professional look. I also love the pant with a cape as well. As for the fit of the pant, I will admit that I am not a fan. I have always had issues with the fit of the Katy pant. I just could not get the fit right no matter the print or material. When I tried on this pant on in my normal size the fit was perfect in all the right spots except my waist. The pant seem to be cut 1.5 to 2 inches smaller in the waist. Sizing up gave room in the waist but created a sag in the pant leg itself. This may be a deal breaker for some as alternation can be expensive. After a trip to the tailor to get the exact fit, I was in love with the pant. The tailor tapered the leg creating a slimmer leg to which fits my silhouette best. I would suggest if you are an apple shape, consider sizing up on the Katy Fit Pant. I paired the Leopard Suit Blazer and The Leopard Katy Fit with a mesh leopard mock neck (old) for added texture. To complete the look, I wore a classic black patent leather lump and black satchel with studs. 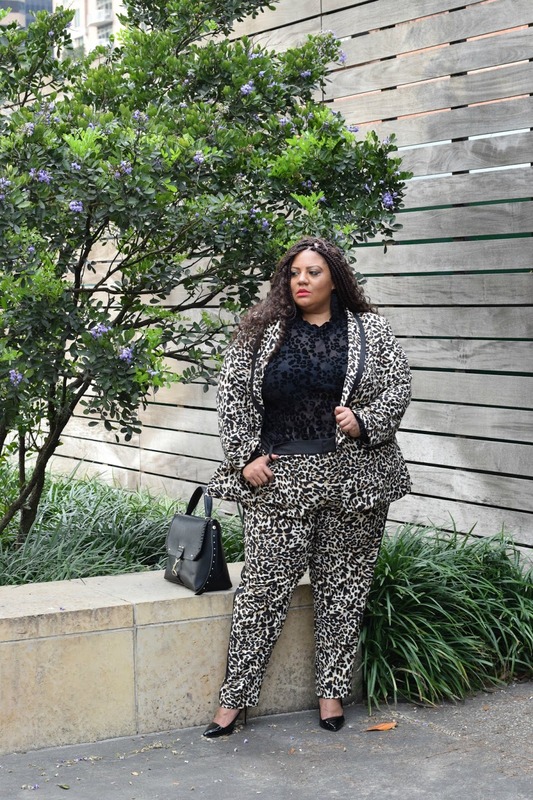 Ladies, are you WILD enough for the Leopard Suit? What are you thoughts on a suit of the caliber? Until next time, be stylish and blessed.